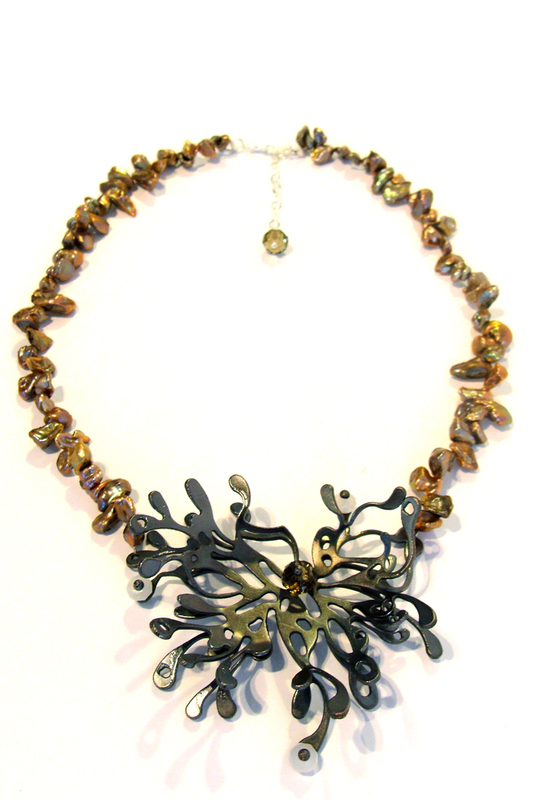 This collection, "Black Sea", is inspired by the algae oxygen-generating organisms found in salt water after the oil spill in the gulf sea. 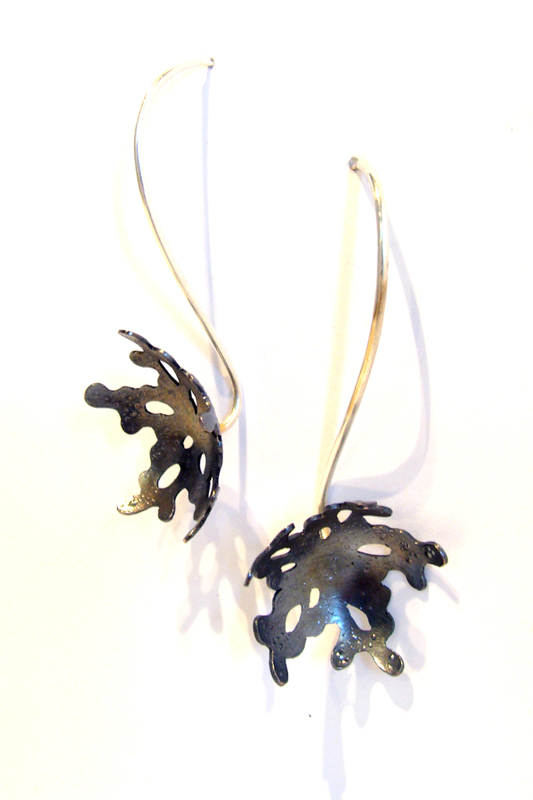 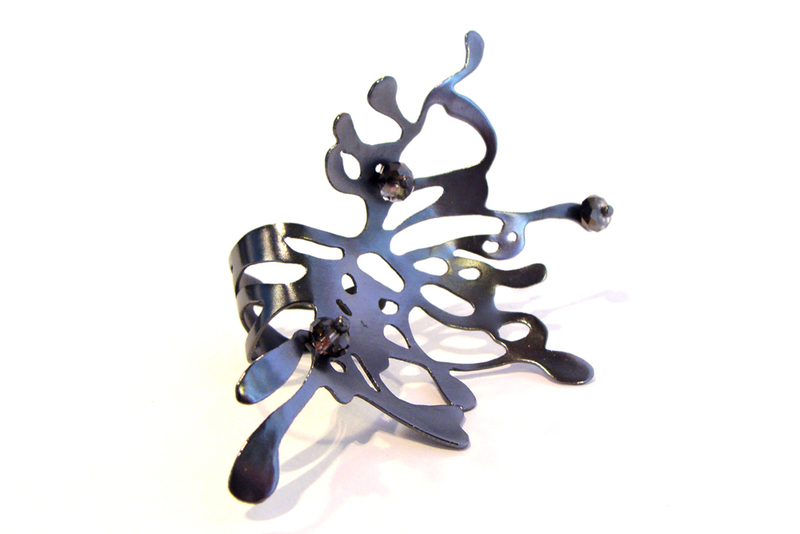 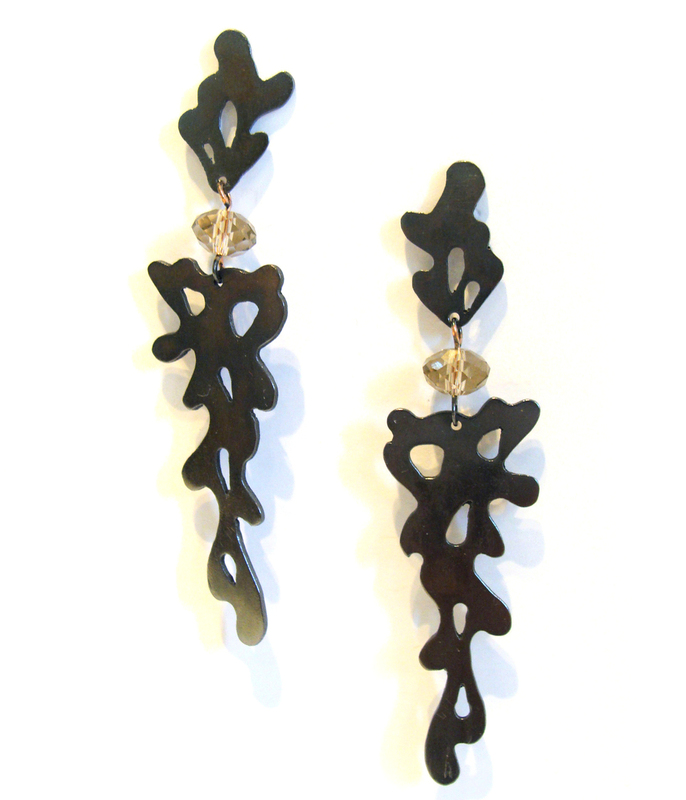 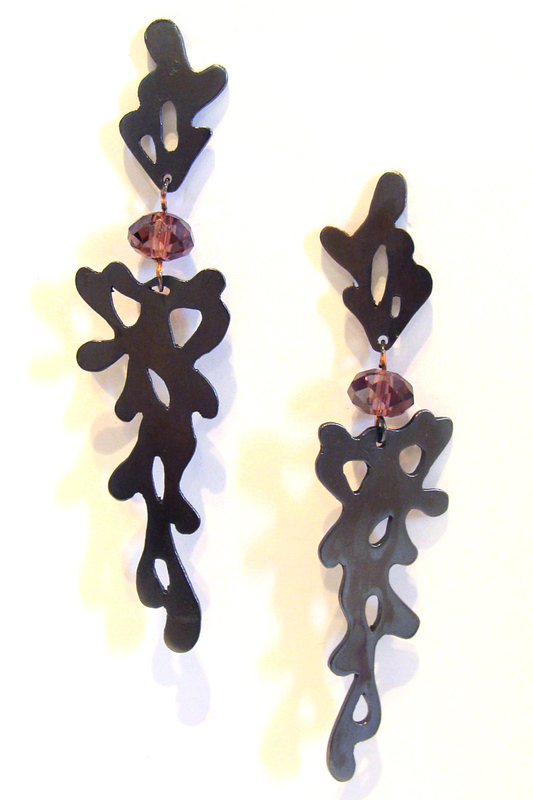 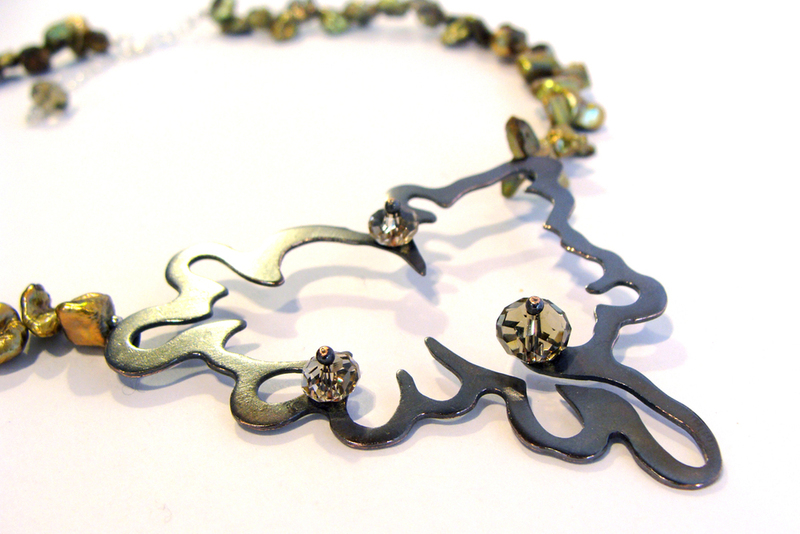 Each design is hand cut and fabricated in oxidized copper, silver and swarovski glass. 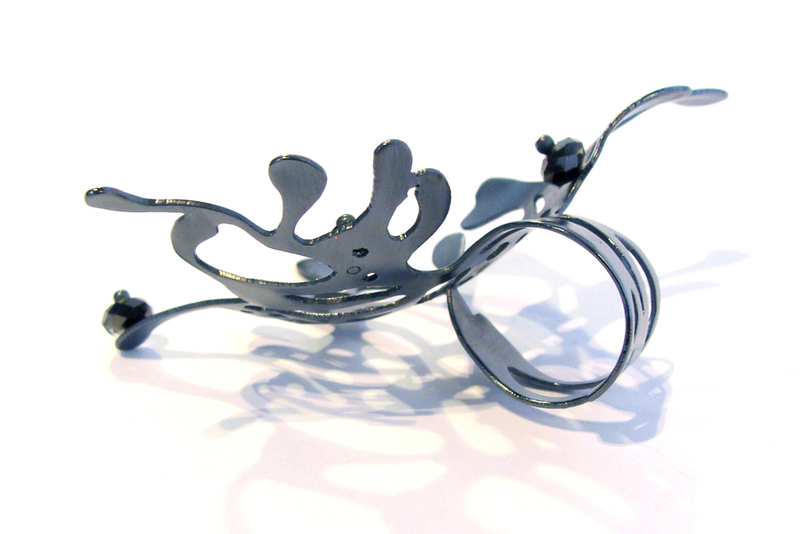 Silver custom orders can be made upon request.